Alan Ames Healing Prayer (click to view video). You can view that to receive a prayer from Alan but you email him and he will say a prayer. My father stood in for me at Alan's prayer service. I had a nodule on my wrist. When I was at Mass with my parents later I noticed the nodule had gone and my father told me of what he did. I was healed by God's grace. I was healed of spine problems and with difficulty in ears when Alan prayed with me. My husband was suffering from pain in his feet that made it difficult to walk for a long time. After Alan prayed with him he was healed and can walk pain free. Thank you Jesus. After Alan's prayers the next day I woke up free of pain from a ruptured disc in my spine and it has not hurt since! Praise God. After Alan's prayers I was healed of being addicted to smoking. Thank God for this blessing. I was unable to have children 15yrs ago and then Alan prayed with me and a year later I had son who is now 14 yrs old. Thank God. I asked Alan to pray for my son who was addicted to drugs and alcohol After Alan's prayers he turned away from them and has turned his life around. Thank God. I was healed of chronic arthritis in right hip and back when Alan prayed with me. Thank God. My knee that I could not bend was healed by Jesus through alan's prayers. Praise God. Through Alan's healing prayers I was healed of incontinence. I thank Jesus for this great grace. I had been suffering from acute sciatica for around 12 months my neurosurgeon informed me that an operation was my only hope to ease the constant and debilitating pain. I went to a healing service with Alan Ames and when he prayed over me and when I went back to the seat and knelt down I realised the pain had eased a little and I was grateful. Within a few days I was pain free and I have had no pain in that leg ever since! God healed me. I was suffering from a severe life threatening lung disease. I went to a healing service with Alan Ames. When I went to the next appointment with the doctor he was surprised I was still alive. After the tests he did he said my tidal volume was 101% he said the results were super and that I no longer had a lethal disease. Thank God. I had antibiotic resistant infection and was admitted to hospital. I had several surgeries but no cure and I felt hopeless. My aunt went to a healing service with Alan Ames and stood in for me. I have now received the news I am completely healed. The doctors do not know why, but I do. This power of healing is real. God bless you all. My grandson was suffering from depression sleeping all day and making no contact with people. I took a photo of him to Alan's healing service and Alan prayed over it and he was healed He got out of his bed applied for a job and got it and he is now working steadily. All praise and glory be given to Jesus. After a car accident I lost my sense of smell when Alan prayed with me my sense of smell returned. I have been healed. Thank God. God through Alan’s prayers healed my knees. Some weeks before I had fallen down the stairs in my home and my back was damaged and hurt severely. When I would bend I would almost faint from the pain. Whenever I moved there was pain and I could hardly breathe as it felt as if something was pressing into my lung. During Alan’s talk I felt a flow of love running through my back which lasted 5-10 minutes. Later I went forward for the healing prayer. After the meeting as I entered my car I could move freely the pain was gone. No pain, no pressure. God be praised! He healed me! I could not get pregnant and then Alan prayed for me and now I am pregnant. It worked! Through Alan’s prayers God healed me of high blood pressure. I am grateful to God. At Alan’s healing prayers I stood in for a friend with a brain tumour. When he went to the next examination the brain tumour had gone. Thank God! I attended a Mass and healing service with Alan Ames. I had severe left hip and leg pain and had to use a cane to walk. After the service the pain is gone and I no longer need a cane. Give glory to God. My daughter was waiting for a liver transplant and had high levels of toxins in her body that the doctors said were dangerous. She went up for prayers from Alan. A few days later we were at the transplant centre to start the process of a liver transplant. One of the doctors questioned her lab test numbers they had run so they re ran the the tests and discovered the toxins had gone down by three times and that she was no longer at risk of brain damage and that she is stable and does not need a transplant. God through Alan healed our marriage and now we are as happy as we were when we were first married. My husband had a miracle cure by God when Alan prayed with him. His massive tumour has completely disappeared. The doctors said it was a miracle and even asked for Alan’s details as they were totally astounded by his healing. My shoulder rotator cuff was completely healed when Alan prayed with me. Thank God. I had Rheumatoid Arthritis for seven years. Whenever I was not at work I was in bed. I had tried many meds and all the things people told me and nothing worked. I had always been skeptical about spiritual healers but always believed in God’s power. I was in agony sitting in the church. I took Alan’s prayers with an open mind. When I woke up next morning I thought I was in a dream I had no pain and now months later still no pain. It is amazing! I am extremely grateful to God and Alan. 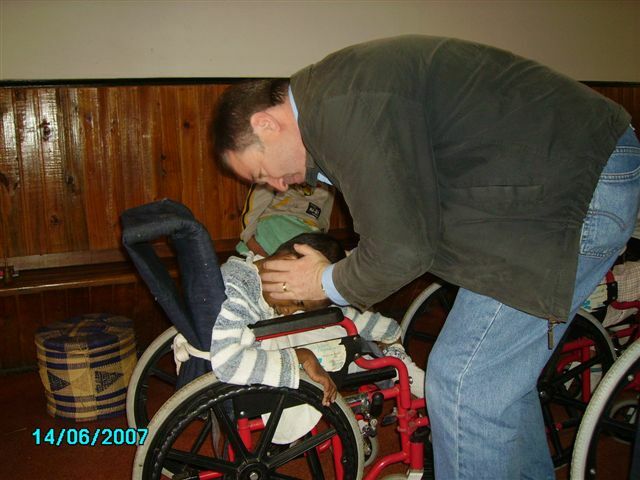 When Alan prayed over me I stood in for my son who had been suffering for years. A month later my son was healed and taken off all his meds and his whole lifestyle changed for the better as well. Thank God. I wanted to share that when I went to Alan’s healing service I walked in using a cane and walked out without it. Thank you Jesus. I stood in for my husband who was to be scheduled for shoulder surgery as he could not raise his hand above his nose. Alan prayed over his photo. Three days later I was sitting with my husband who said,’ I probably should tell you…’ and raised his arm above his head. He does not need surgery. A true miracle. Thank God. God through Alan healed me of my stomach issues and I thank God every day for this. I came to Alan’s talk with a limp from severe arthritis in my left knee. After he prayed with me my pain was gone and so was the limp. Thank God. Both my husband and mother were healed by Alan’s prayers. My husband had cluster headaches and my mother had a bad neck and could hardly move her head at all. By God’s grace both were healed. I brought a photo of my nephew who had been in an accident and was told he needed surgery to restore his mobility. The next day after Alan prayed over his photo he was told he no longer needed surgery. Thank God. I had strong pains in my knee and found it dreadful to walk because of the pains. Alan had a word of knowledge of someone’s knee being healed. I thought it was someone else not me but when I left the church to walk back to my car the pains had gone and until today several years later they have not returned. I am grateful to God. At the recent healing Mass and service with AlanI was completely healed of incontinence. Thank God. At Alan's healing prayers I stood in for a friend with a brain tumor. When he went for the next examination the tumor had gone. Thank God. At Alan’s healing service I held a picture of my mom on my phone. He touched the phone. My mom was scheduled for immediate surgery for liver cancer but when the doctors looked they could no longer find the cancer. It has been 2yrs now and she is cancer free. My daughter had a serious leg injury and was in a wheelchair in terrible pain which she had constantly for weeks as she had torn her hamstring completely off her hip. She was told it would years to rehabilitate completely. The next morning after Alan prayed with her she said mom watch this…she got out of the wheelchair and walked across the room without pain. The orthopedic surgeon was shocked when he saw her and amazed she had recovered. She has had no problems since then. Thank God. I had been suffering from Ulcerative Colitis for more than 5 yrs. After Alan’s prayers at my colonoscopy the gastroenterologist was surprised every thing looked normal with no scarring. Now I take no meds and eat whatever I like. It has been 4 years. Thank God. My 3 yr old daughter had been suffering from sleep apnea for 2yrs. After the healing service with Alan she has been healed she now has no sleep apnea. Praise The Lord…thank You Jesus. My son’s seizures stopped after Alan prayed with him. At a healing service with Alan Ames my knee was healed. Praise The Lord. When Alan prayed with me my teeth were healed. My very painful ganglion on my wrist was healed. Thanks be to God for the healing through Alan. I brought a picture of my grandson who had eczema on his face and my niece came with me to the healing service she had lymphoma. My grandson’s eczema was healed and my niece is cured. Thank You Jesus and Mary. I went to a healing with Alan Ames. I am so excited to tell you that my back has been healed. Thank You Jesus. For 5yrs I have had intense pains in my chest. Since Alan prayed with me these pains have gone. Yours in Christ. The long term pain in the shoulder was healed. God bless you. I had strong pains in the in the stomach area for 5yrs after Alan prayed with me I am pain free. Thanks be to God. I am sorry it has taken so long to write but when Alan prayed with me in 2007 my knee was healed. God is good. When Alan Ames was in Slovenia and prayed with my sister and myself my damaged knee cartilidge was healed and my sister was of her skin disease. Thanks be to God. When Alan prayed with me my right eye was healed. Thank God. I had an eating disorder but after Alan prayed with me my eating disorder left me. Praise God. I was suffering from an auto-immune disease which cannot be healed. After Alan prayed with me, I am healed. Now each day I pray the Eucharistic Rosary and to Mary, Queen of the Cross. I am infinitely grateful to God. I had frequent pains in my feet and back. During the talk by Alan I suddenly felt strong pains in my lower back and burning pains in my feet. The pains later faded away and ever since that time my back and feet have been better. I thank Jesus Christ for His mercy. I had a family member who was on life support and had been resuscitated many times. The doctors told the family they didnt think he would make it. The day after Alan prayed for him he made an amazing turn for the better and he is alive and at home now and this is thanks to power of God for Alans prayers. I was diagnosed with heart problems and was scheduled for surgery two days later. I attended a Mass with Alan Ames. On the day of my scheduled surgery the two specialists were amazed. They couldnt find anything wrong with my heart and they confirmed there was no reason for me to return as I now had a healthy heart. The doctors were baffled. It was the power of the Lord that healed me. Praise God. When Alan prayed with me I was healed of recurring severe headaches. I had damaged my arm and needed surgery but had no money to go to the doctors. After Alan prayed with me her arm was completely healed. Thank God. My aunt had fibrosis of her lungs and according to the doctors it was a death sentence. I took her to Alan Ames healing service and after the talk she was completely healed. Praise God. I needed uterine surgery, but after Alan prayed with me I did not need surgery and everything is alright. Praise the Lord. When Alan prayed with me I was cured completely of my leukaemia. Thanks be to God. When Alan prayed with me I was healed of a gambling addiction and an addiction to shopping. Wed been trying in vain to conceive a second child which were unable to. After Alan prayed with me four weeks later I had a positive pregnancy test and later we had a baby boy. I thank God for the wonderful gift. We were suffering from infertility and could not have children. After attending Alans healing service I was able to conceive and we had a beautiful baby girl. I will be forever grateful to God for this gift through Alan. The day after Alan prayed with me I realized that the pain in my chest disappeared and I felt surrounded with an omnipresent love. Thank God. I want to thank God with my heart as now my wife is pregnant, thanks to the prayers of Alan. I was diabetic and after Alan prayed with me I am no longer a diabetic. I want to thank God Almighty for blessing me. I had been suffering from pains in my chest and heart for which I was taking medication. Three days after Alan prayed with me all the pains left me. Praise and Thanks be to God. I used to have really strong backache and pain in the right ovary. I couldnt sit down without pain and with every deep breath I felt pain in my abdomen and felt pain all the time on the right side. Since Alan prayed with me everything has disappeared. I dont feel any pain anymore. I give thanks to God and to Holy Mary. My cousin came with me to Alans talk. She suffered from problems in her knee joints for some time and was in great pain. After she walked out of the church she was without pain and she had been without pain ever since. Thank God. He said you might be surprised. After a negative test I did a blood test and it said I was 5 weeks pregnant. Alan Knew before I did. when Alan prayed with me I felt a warm healing and I am now currently free of any cancer. I also took a picture of my cousin up to the alter to be prayed over. He was in hospital in critical condition for 2 months with high fevers and infections. The next morning he had zero fever and survived. He believes he had a miracle. After Alan prayed with me by Gods grace I was healed of all my addictions. When Alan prayed with me I was healed of all symptoms of Lyme disease. Thanks be to God. 16 years ago I was very sick with depression. After Alan prayed over me I walked out of the church filled with joy my depression was gone. Thank God. I received a blessing from the Holy Spirit through Alans touch. I had a painful foot and I asked God to take away my pain.I realised 1 hour after Alan prayed with me my pain was gone. I was healed of a serious infection when Alan prayed with me. Thank God. I had a chronic painful swallowing problem. After Alan prayed with me the pain has gone and I am able to eat properly now. Thank God for His healing touch through Alan. I was infertile but after Alans prayers and praying the Eucharistic rosary I became pregnant with a baby girl. Thank God. After being treated for cancer unfortunately the cancer returned. So I went to Alan Ames for healing prayers and after his prayers the new cancer is gone. Praise the Lord my husband was healed of cancer when Mr. Ames prayed over him. the doctors said the condition had gone. Impossible! I believe it was Gods grace working through Alan. Praise be to God. I had stage 4 cancer that was incurable. I went to the Eucharistic Congress in Atlanta to see Alan. When he prayed over me I had the most amazing spiritual experience that night. After that the PET scan and MRI scan came back showing everything was resolved except for a small lesion which the doctor believes is scar tissue. The doctors say I have no evidence of disease. Dear Alan, we are writing to say our Mum was miraculously healed of skin cancer. Thanks the Lord and thank you for the prayers. Please thank Alan for the wonderful evening and prayers. After that my niece returned to her faith and my blood pressure returned to normal. After 43 years of strong smoking when Alan prayed with me I was healed and have not smoked since. Thank God. God through Alan healed me from arthritis in the shoulders. I could not cross my arms or raise my arms above my shoulder height. The pain was excruciating. The diagnosis was severe arthritis in both shoulder joints with no cure all they could do was manage the pain. I was in constant pain. Two days after Alan prayed over me I noticed I was pain free and could move my arms normally. Since then I have been pain free and have have 100% motion in both shoulders. I thank God for this blessing through Alan. Since Alan prayed over me several years ago my ovarian cancer has been in remission. Thank God. I wore a hearing aid because of serious problems. I went to a healing service by Alan Ames and now I do not need a hearing aid any more. I had extensive tests done which confirmed I can now hear all tones. Also that evening a woman close by me in the church was crying she was in so much pain but when she came back after being prayed over she told her husband she did not have any more pain. Through Alans healing prayers my knee was healed and my faith strengthened. I had pain in my lumbar spine for many months. After visiting a doctor I still had pain every day. When I remained in a fixed position the pain intensified. When Alan prayed over me I was slain in the Spirit the next day I had no pain. I have been healed from this persistent ailment by the power of God! Praise the Lord! Alan prayed for my mother who was in a serious health crisis and she recovered from that and is alive and well till today. I attended Alans talk in Poland...I was healed of my addictions and I am a new man who has found God. Praise the Lord. When Alan placed hid crucifix on my forehead I was healed of the strong pains in my joints. I thank God for this. I was suffering from a problem in the left foot and was limping a lot and was in a great deal of pain. I am no longer struggling with my limp and pain. I contribute this to divine intervention of God through Alan. Alan Ames prayed over me and the heaviness and depression that had lasted for years has been taken away. I am so grateful to Jesus that He freed me from that through Alan. now I feel normal. Praise God! I had strong thoughts to commit suicide these are completely gone since Alan prayed with me. Thank you Jesus. I was diagnosed with stage 4 cancer my lungs were full of micro tumours and three larger tumours. After attending a healing service with Alan I had my first CT scan and the results are nothing more than a miracle from God. All the micro tumours are gone and the three larger ones are almost gone. God truly does work through Alan. I was healed when Alan prayed with me I felt a warmth on my left side I had problems in my left shoulder. When I left to go to the car I realised my shoulder was healed and I have no more pain. I had 2 miscarriages I went to Alans talk and after his healing prayers another pregnancy started, a healthy one and my daughter is 3 yrs old now. We thank God for this wonderful gift. I attended a healing service with Alan and the vertigo problem I had for 3 months left me. I thank God. We went to a healing service with Alan Ames because my mother had bad stomach pains from her stage 3 cancer. Well praise the Lord the pains are gone and the MRI showed no cancer. I was healed at Alan Ames healing service of bad and painful legs and not being able to walk properly. Thank God. My wife was healed of Hypoglycaemia at an Alan Ames healing service. In God we trust. I had a bad right knee and it needed surgery. In 2003 Alan Ames prayed over me and God healed me instantly. Up to today 2015 I have no more problems with that knee. I had severe back pains for months after a bike accident. I went to a healing with Alan Ames with strong pains, feeling dizzy and sick. I was gritting my teeth when I walked up for prayer. After that I walked out of the church with no pain and until this day they have not come back. Thank God. I took a picture of a sick baby who was in hospital for Alan to pray over. God healed the baby and the child went home from hospital a few days later the doctors could not explain how the baby was healed. God bless Alan in his work. At an Alan Ames talk Jesus has healed me of my stomach problems I had for 1 1/2 years. My stomach and digestive system are working again. Thanks be to God. At a healing service with Alan Ames I stood in for my daughter who had been diagnosed with MS the previous year. The following month my daughter returned to the hospital for an MRI, the doctors were amazed and had no explanation that the lesions had gone from the brain the MS was healed. It was truly a miracle. When Alan prayed over me it was very powerful, I have never felt anything like it before and I was thinking about two friends at the time who have physical problems and later I found out they had both received healings. A friend of mine who was prayed over by Alan had warts on her leg, they have all gone, she is very happy, thank God. For two months I had been feeling very weak and not myself. I attended the healing Mass where Alan prayed over me and the next day I felt completely normal again. Thank God. The doctor told me I had a large tumour and that it was cancer. Alan Ames prayed over me and it's there no more. Thank God. I stood in for my 10 month old granddaughter who has had an infected tear duct since birth, the next day it was all clear and there has been no signs of the infection ever since. A miracle I firmly believe so. You told my friend to stop smoking as you saw she had the first stage of lung disease. She went to the doctor and after tests confirmed she had the first stage of COPD lung disease and it can be healed if she stopped smoking. Now she has stopped smoking. Thank God. I had been having constant pressure in my head that wouldn't go away for almost two months. After Alan prayed with me it went away completely. I attended a healing Mass with Alan Ames and I received a powerful healing. My lower back pain has disappeared, I have been suffering with it for almost a year. When Alan prayed with me the Holy Spirit, through him, healed me of an addiction. Alan prayed with me at the Eucharistic Congress in Atlanta. I had a bad limp for a very long time and walked with a cane. Every step I took was a trial. After Alan prayed with me I realized I was actually walking normally; I was healed by God. Thank you so much. Thank You Jesus for giving Alan Ames Your gift of healing. I needed a knee replacement and I had a cyst on the back of my knee. The cyst is gone and I have full mobility in my knee. My friend had a very bad slipped disc for three years; so bad that she had to be carried out of the house. She fell and the problems became far worse, but after the healing prayers by Alan Ames her back was completely healed. Thanks be to God. I brought a picture of my sick son for Alan to pray over. He had massive tumours in his gums and in his jaw bones. After Alan prayed over him he went back to the doctors and they could find no trace of the tumours. The doctor was totally baffled, he had never seen anything like that before. God is good. My son was in a wheelchair and could not walk 2 weeks after Alan prayed over him he began to walk. Because of coeliac disease I could not receive the host at communion because the flour in the host would affect me. Alan prayed with me and now I can receive the host without any problems. Praise the Lord. I want to attribute my healing from Hepatitus C to Alan Ames for it was gone after he prayed with me. I had incurable lung cancer, stage 4, which had spread to my liver and lymph nodes. I went to a healing service where Alan Ames prayed over me. Afterward my doctors ran a CT scan and no cancer could be found. I am grateful for Gods great, love, mercy and healing. When Alan prayed with me I felt a tingling and a warmth after that my terminal cancer was no longer present. Thank God. Over 35 years ago I was in a serious accident where a large cattle truck ran over me I was dragged 1500 yards under the truck and my body was torn apart. I had broken many bones in arms, shoulders, back in 3 places, my pelvis was shattered, hip broken and femur cracked and my lungs were crushed. I spent 6 weeks in ICU and 4 months in hospital. Since then because of problems I have had 2 back surgeries which failed and made things worse. I was on high doses of pain killers and was stiff, sore and immobile. Mr Ames laid hands on me and 9 hours later I got out of bed and there was no pain. I stand up straight, my legs are not numb, I can turn my neck, I can walk down stairs without holding onto handrails. I have gone for long walks with my wife. I cannot remember being pain free but now I am. I no longer limp. Part of the accident was that my leg was sheared and my left leg was 1-2 inches longer than my right. I had an offset gait I do not anymore. I have no doubt that God worked miracles through Alan that night. Some years ago when Alan prayed over my sister she had cancer but after the prayers she has been well ever since. Our family is forever grateful. Thank God. I was healed of smoking when alan prayed over me. My husband was healed of being an alcoholic after alan prayed with him he has not touched alcohol since. I was diagnosed with cancer of the uterus and awaiting surgery. After alan prayed with me I went for tests before the surgery and the cancer was gone. I have had many tests since and there is no sign of cancer. Thank God. I came to alan for prayers to be healed of an addiction to cigarettes. That evening Jesus healed the addiction I had to cigarettes through alan. Not only that but also my brother and father were also healed of their addictions to cigarettes. Thank you Jesus. As alan ames touched me with the hand I did not have any more back pain. God healed my back pains. Thank God! I was desperately seeking to be healed of my physical pain. It was almost constant pain. When alan prayed over me I was healed that day. Thank God. No pain for 2 yrs now! I suffered from bulging discs and nerve compression as well as sciatic nerve pain. Walking was very painful. When alan placed the crucifix on my head and prayed over me I felt a sensation and all the pain has left me. Thank Christ. I had injured my shoulder falling from a horse it was painful and very weak. I was going to need surgery. The day after alan prayed with me I awoke and found I no longer had any pain and a full range of movement in my shoulder. God be blessed for His mercy and kindness to me. I was healed of pains in the area of my upper and lower legs. These pains had been with me a long time they had become chronic and no treatment could help. After Mr. Ames prayed over me I am without pain, I am healthy again and I thank Jesus. For two years, I have had massive problems with my shoulder - pains, restricted mobility - which was to be operated upon in November last year (muscle rupture). After having attended a healing prayer by Alan Ames who has been completely unknown to me till then, as I only went to church out of curiosity, the pains were gone the following day. For me, being a nurse, this is absolutely incomprehensible, but true! I can't believe it myself and for the first week, I doubted my sanity/mind! But now I am just only happy and thank God every day that I am without pains! As Alan Ames had touched me with the hand, I did not have any backpain the next day. God healed my back pains. Thank God! I had agoraphobia and panic attacks for over 10 years and after Alan Ames prayed over me I have been healed of that debilitating fear that kept me a prisoner. I want to thank God from the bottom of my heart for this healing through Alan. My son had a severe stomach disorder for several years that was incurable and he was getting worse...we feared he would die. After Alan prayed with him a few months ago he was completely healed and has never looked as healthy as he looks now. Thank you Lord and thank you Mother Mary and all the saints. I had a severe skin problem and itching and scarring after Alan prayed with me I was healed. During the healing prayer as Alan prayed over me it was somehow indescribable, just like a fulfilling joy. To my surprise, the next morning my back felt more mobile than usual my osteoporosis was eased. God's blessings be with you. God bless your ministry. We had the pleasure of attending a mass that was followed by Mr Ames. My wife had been diagnosed with an inoperable tumor in her lung that had also collapsed the lobe. Flash forward to last week and the CT scan results could not find any signs of the tumor and the lymph nodes were normal too. God bless his mercy and compassion for his flock and for sending Alan Ames to San Antonio. Alan! God bless you! You have prayed for me before here in Houston and I have 2 beautiful miracle babies for the Glory of God thanks to your prayers. God bless you Alan Ames. My daughter in San Antonio is doing wonderful. She recovered beautifully from her jaw distraction and also her sister is completely healed. I will forever be grateful for all your prayers. I myself have been healed and I'm closer to God and his son Jesus Christ. I had a personal experience that has changed my heart and soul forever. I no longer live in darkness, despair, sadness or fear. I live in light, love, peace and joy. I believe and trust Jesus Christ with all my heart. God bless you forever. Thank you for all you do . I too saw Alan when he came to sa and i no longer suffer from anemia and I knew at that moment I Had been healed . Thank God. When Alan prayed with me I felt relief from all my joints as I suffer from Athritis. Now I can drive. No more pain. No more stiffness. No more popping when I kneel. Thank God. My wife had been struggling with severe knee problems for many years and found it difficult to walk. Suddenly, when you prayed with her she realized that her walking has is improved and her bent leg straight. For 6 months my legs were in constant pain. After Alan prayed with me I felt a heavy weight fall from my legs. Next day I woke up with absolutely no pain! God is almighty and I have been blessed. I had strong pains in the jaw and treatment did not help. Alan prayed with me and placed his hand on my jaw. I felt strong joy. Ever since I have had no more pains in the jaw. I thank God for this healing. For eight weeks before I cam to Alan's healing service I had pain in my chest. When Alan laid hands on me I had a great sense of Jesus' love and the pain has gone completely. Thank God. I went to Alan's healing service. I was scheduled to receive injections to relieve the unbearable pain in my legs I want to thank Alan for his prayers for the pain in my legs has disappeared. Now I can walk up and down stairs with no pain at all and I did not have to have the injections. When Alan spoke and prayed for healing my cousin who had terminal cancer was completely healed. She is now cancer free. This is a wonderful work the Lord has done through Alan. Since Alan prayed with me my migraine has not come back. Thank God. Since attending the healing service with Alan my intense hip pain has never come back. I went to a healing service with Alan. I was having strong pains in my left shoulder, hip and knee. I did not feel anything when Alan prayed with me but when I went out of the church I did not feel any pain and still do not to this day. I thank God and Alan for my health. I was healed from long painful suffering in the back and right hip as Alan said some one would be in his words of knowledge. At first I couldn't believe it and now I am completely with out pain. Incredible! Thank God. My 47 yr old daughter could not have a baby. Her doctor told her that unless a miracle happened she would never have babies. I prayed the 'Mary Queen of the Cross' prayers for her to get pregnant and now my daughter is pregnant. Thank God. I went to see Alan Ames and he just prayed and touched my head wiyh his finger. I had been having to take tablets 4 times a day for a long time for back and kidney pain...after he touched I went home and never had to take any tablets again my pain was gone. Thank God. I was healed of Dystonia when Alan prayed with me at a healing service. After Alan prayed for me I do not have the desire for cigarettes anymore and my Father was healed of his high blood pressure. I thank God and Alan. Through the healing prayers of Alan my son who had been suffering from neurodermatitis with allergies. Now he is healthy again. Some years ago my daughter was pregnant and depressed. She was advised by a psychologist to have an abortion. My daughter agreed and planned to have the abortion. I persuaded her to come to a talk and healing prayers by Alan Ames. She rested in the spirit and went to confession. On the way home she told me that she would not now have the abortion. The child is now 10 years old and celebrating her birthday. I had a bad left knee at the healing service I felt something on my knee and since then it is better. I was addicted to herion - methadone and I also had more than 30 piercings and many tattoos on my body. I attended a healing service with Alan Ames after he prayed with me a change happened within me. I went back to my place and removed the piercings then I had my visible tattoo's removed by laser then I enrolled in detox and ever since have been free of all this. A thousand thanks to God, Alan and Brother Franz who invited me to the healing service..
My friend who had excruciating back pain was healed when Alan prayed over her. My daughter was an alchoholic. I gave her an Eucharistic rosary and since she prayed it she has been sober ever since. I injured my lumbar vertebrae in an accident and have had back pains for many years. As Alan was praying I suddenly felt an unexpected gentle tingling over my back where it hurts. My heart was filled with joy and there were tears in my eyes. Since then I am healed of these pains and my back is upright again and it is very easy to move. I thank God. I had been suffering from depression and severe pain all over my body. I was quite desperate as I could not work because of this. I went to Mr. Ames' talk and his words so full of love for the Lord touched me deeply and I could not hold back the tears. When he prayed over me I felt a comfortable warm tingling that spread from my head through out my body and a deep peace filled me. When I went back to my seat I realized the pains had completely gone. Today I am full of energy, without pain and more than happy. I will not forget what God has done for me. I wasn't a person of faith but from today onwards I will change and make the Lord the core of my life. When I prayed the Eucharistic rosary over my daughter I felt a tingling in my fingertips and immediately her mouth pains left her. I had a problem with my eyes for some time and could not see properly. When Alan prayed over me I felt something in the back of my head...when I returned home I realized I could see normally in both my eyes again. When Alan prayed with me I was healed of my anger, hatred and aggression...it all disappeared. Now I feel light, joyful and free. There is great peace in me. Thank God. My right arm was healed when Alan prayed over me. I could feel a soft popping in my biceps and I am healed ever since. I give praise to God. I had been in pain for many years with a back problem it hampered my efforts to lead a normal life. The pain was becoming rapidly more debilitating. That night Alan Ames prayed with me and I was healed of my back problem and no more pain. Also my eye spasms were healed. I am grateful to God for the healing through Alan. I was unable to concieve so I went to a healing service in 2012 with Alan Ames. When he prayed over me I fell down and I smelled beautiful roses. I asked others if they smelled it but no one did. I then prayed the Eucharistic rosary and 1 week later I fell pregnant. Praise God I now have a beautiful baby girl. After Alan prayed with me my blood pressure is good for the first time in 8 years. I went to a Alan Ames healing service even though I was skeptical. The next day all my neck and upper back pain from an auto accident 25 years ago left me. It is more than a month now since Alan prayed with me and still I am completely pain free. Thank God. I attended a Mass and healing service with Alan Ames. It was incredible! I suffered from terrible vertigo after being hit by a truck several years ago. After Alan prayed with me the vertigo has gone and not come back. God is so good. I attended a healing service of Mr. Alan Ames. He had words of knowledge and said a woman with a hip poroblem would be healed. I had excruciating pain in my right hip and in my left hip also. The pain went down the leg and I could not sleep without a narcotic. After the meeting I can sleep now without narcotics and can sleep in any position also all my pain has gone. Thanks be to Jesus the healer. I could not concieve. I heard about Alan Ames through my sister who had a healing of her own after seeing him. We attended a healing service with Alan, it was incredibly powerful. As Alan prayed wih me he said 'God bless you and your children'. 6 weeks later I concieved and now we have a son named Nathaniel. Thank you and thank God. I walked with a cane. Now after Alan's prayers I no longer need a cane. Thank God for healing through Alan. My arthritis has left me and my knee and shoulder which were injured in an accident 30 years ago have been healed after Alan's prayers. I previously had 2 miscarriages and it was unlikely I would fall pregnant again. I became pregnant again after Alan's talk but the baby was not expected to survive. I had got the Eucharistic rosary at Alan's talk and prayed it for my baby. I delivered a healthy baby girl named Alana after Alan Ames. Glory be to God and the Blessed Virgin. Our 16 yr old son was diagnosed a very rare metabolic condition causing liver disease and which is usually fatal. He was listed for a liver transplant. We attended a healing service with Alan Ames. Three days after being prayed over my son said he felt much better and thought he did not need a liver transplant. Within a short time his liver returned to be completely normal and his jaundice left him. He has regained all the weight he lost and he has been taken off the list for a liver transplant. My son thanks God for healing him. May God bless Alan and allow him to touch many more people with God's love. I was on high doses of pain killers which could not control my pain. I had an open hole in my body from an operation that would not heal and weeped. I was also abusing drugs and alcohol. I went to Alan's healing service and when Alan prayed with me I was healed by God both physically and spiritually. Praise God the ultimate healer. Our son could not speak like normal children and he would babble but we could not understand him. We took him to a healing service with Alan and during the service he began to speak to speak clearly. I still get chills thinking about it. It was as if God loosened his tongue at that moment. My grandson was born with a large purple lump between his eyes. It got bigger on the day I was to attend the healing service with Alan. I brought a picture of my grandson and Alan prayed over it. The next morning the bump had completely gone from my grandson's face. I thank God for this healing. I had bad pain in my eye for sometime. The doctors did not know what it is and it would not go away. I went to see Alan at a healing service. He said some one with problems in their eye will be healed tonight. They will have some tenderness the next day but after that no more pain. My pain left me the next day as he said. It is now 2 yrs later and I still have no pain. I thank God for that. I had stomach problems and a lump in my stomach. After Alan prayed with me the lump has gone and I have no more pain. I pray and thank the Lord every day for this healing. I am able to tell you that my eyes were healed completely of shortsightedness when Alan prayed over me. I thank our loving saviour Jesus for this healing. I attended a meeting with Alan. I was a patient needing regular dialysis. 5 days later my doctors told me I no longer needed dialysis. There was tinea on my lips for months that would not go away and treatment had no effect. As Alan prayed with me I felt a tingling in my lips and then it went away. I was healed of lower back pain when Alan prayed with me. Thank God. I had a heart problem for 3 yrs but when Alan prayed over me I was suddenly healed. I had severe dystonia which was healed when Alan prayed with me. Thank God. I couldn't walk on my left foot but when Alan prayed over me it was healed and now I can walk normally. I had a huge cyst and nodes plus my thyroid didn't work. I was due for an operation. After Alan prayed with me I was completely healed of everything and no longer required an operation. I had a spinal problem for decades. After Alan prayed with me it was completely healed and I also became much stronger spiritually. I had stage IV pancreatic cancer. After Alan prayed with me and I went to the doctors they couldn't believe that I seemed to be cancer free. I thank God for this wonderful miracle. There had been a fire in my sister's apartment and she was rushed to hospital as her lungs had stopped functioning. She was unconscious, the doctors said she didn't have much of a chance to live. I sat next to her bed, prayed the Eucharistic Rosary, placed the Rosary on her forehead and hands, then she opened her eyes. The doctor had no explanation for that and was very surprised about what had happened. My backaches since Alan prayed over me have gone and my aunt can also kneel down because her knee was healed. Thank God. Our grandson had a traumatic birth and was having seizures. His kidneys and liver function was very bad and his blood was not good either, he was in ICU and it was uncertain if he would survive. I placed a Eucharistic Rosary in his ICU crib. After that the neurologist told us that he didn't have anymore seizures and his kidneys and liver were functioning normally. When Alan prayed over me the deep love of God filled me. After that my back pains left me and I could get up for the first time in months with out pains. the doctor advised me to arrange my last matters as the time I had left to live was rather short. I went to a healing service in Hamburg with Alan Ames. I was very skeptical and full of doubts. Alan prayed with me and the next thing I knew my husband was helping me up from the floor. I forgot about this evening with Alan Ames. I went for a check up and had scans done. The doctor told me I had to have the scans again as there seemed to be some disorder in the machine. This time I noticed there were several doctors and nurses not the usual one doctor. I was afraid because they were having a long discussion. I expected bad news. The doctor came in and in the presence of my husband said, I do not know what you have done or how to explain this but all I can see now is scar tissue! Now 8 yrs later the disease has not come back. Truly a miracle that I thank God for through Alan Ames. I brought a photo of my father to be prayed over by Alan. My father was cured of the severe pain he had for years in his hips. He was so surprised because he did not know I was attending the service. I had 2 badly herniated discs and had been in pain in the back and shoulder for 4 years. During the healing prayers with Mr. Ames the pains got worse then as I left the church I noticed the pains had gone. Now I have no pains or symptoms. Thank God. When I attended a meeting with Alan Ames a year ago, as he prayed over me I stood in for a young friend with bulimia. From then she has been completely healed of her severe bulimia. Praise the Lord! I had an inflamed pancreas and I could not tolerate food for a few years. I was down 39kgs. After Alan prayed over me began to eat again and my health improved and hopelessness left me. I had a disease where my bones would break even under low pressure. I attended a healing service with Alan Ames and he said some one here is having a problem with their ribs and the person will be healed. I had three broken ribs that were causing a lot of pain when I moved. After the meeting my ribs had grown together again and did not hurt anymore and now can withstand strain. My doctor can confirm the healing. My gratitude is great- praise and worship the Lord. We were childless for about 10 years when we attended a healing service with Alan Ames. He announced that a childless couple will be blessed with children and that they should always be grateful to the Lord. Now we are blessed with our first - born baby and we named him Francis. We are praising the Lord for this precious gift and also thanking Mr. Ames for his tireless healing ministry. Some years back I attended a healing service with Alan because I had bladder cancer and I was healed immediately. The Holy Spirit came through my body that night and it was the greatest feeling I had ever had. Thank you Jesus. There were varicous veins for many years which were very painful. After the meeting with Alan prayed the Mary Queen of the Cross prayers and all the pains left and have not returned. My leg and hip was healed at the healing service with Alan Ames. Thank you Jesus. My husband and I both went to a healing Mass with Alan Ames and we both had great improvements in our conditions. My husbands neck, shoulder and back pains he had been suffering for years have gone and he has a full range of movement he has not had for years and he has had no uncontrollable muscle cramps. I injured my knee 40yrs ago and I have had a lot of pain in my right leg. The aches are gone and now all that remains is a little discomfort. We had a photo of our son who has a broken disc in the neck and paraplegia. Alan prayed over the photo. Now he can stand even on skis and could make it downhill on a steep slope! I was a smoker after Alan prayed with me I have not had the desire to smoke again. Thanks be to God. I attended a meeting with Alan and he prayed over me. I had my second brain aneurysm I was prepared for surgery. The doctors did a scan and to their surprise found there was no aneurysm. I praise God for His total healing. this was the time I was being prayed over by Alan. I shared with her what I had done and we both praised God. no scars nothing! I told him about Alan Ames and he was amazed and said come back in three months. I did and everything was perfect and he told me to come back again in another 6 months and I did and everything was perfect. My sight now is good and I do not need an operation. Praise God. I was in a wheelchair and a walker. Not any more. Alan Ames prayed for me and I was healed. I was in pain every day. In May 2011 Alan Ames prayed over me. 2 days later I was surprised to realize that suddenly I was without pain. I told my family I can move again without pain. Again and again I lifted my arms and moved my legs to show how well I was. I thank God for His healing through Alan Ames. I had pains for four years due to two bad herniated discs in my lower vertebrae and shoulder. During the healing prayers with Mr. Ames I felt worse pains but as I left the church I realized all my pains had gone. I could move freely and without pain. I am filled with deep gratitude for this healing from God. When Alan prayed with me I was freed from suffering on my knee that had given me much pain. God be praised for that. I came to a talk by Alan Ames full of doubts but I came not for myself but for my friend. Two years ago she had a cerebral haemorrhage and since then her right leg was paralysed. She had no feeling in it and could not move it and had to walk with a cane. After Alan prayed over me as I thought of my friend I went back to the pew and there something strange happened to me. I felt paralysed and I felt as if I would never move my hands again. Then my hands were normal. The next day when I called my friend and she told me, Yesterday evening (it was the same time Alan prayed with me) I had a splitting headache, sickness and strong prickling in the whole body. This morning I can feel my right leg again. Yipee! Now she needs no cane anymore, she still has prickling in her leg but she can move it! It is incredible. Thank God. After an operation my arm was limited in mobility. After Alan prayed for me the unbelievable happened. I can since move my arm normally. My arm functions wonderfully now. Thank God for His help. Thank you (Alan) for your prayers, we have great news. The most recent scans show no cancer cells, the Doctors are amazed and surprised as this is not possible. I was healed of my back pains by God through the prayer of Alan Ames. I attended a healing Mass with Alan Ames praying for healing and something wonderful happened to me; through Gods grace I was healed of a massive sleep disorder. I thank God and Alan for his precious ministry. I had no cartilage and arthritis in my knee. I was limping with pain and decided to go to Alan Ames healing service. I was slain in the Spirit when Alan prayed over me and I have not had any pain since, over a year now. That same night Alan had words of knowledge that a couple were trying to have a baby for a long time and that the Lord said this couple would conceive a son. We had lost our first son in the womb and were finding it difficult to conceive maybe because we are an older couple. Well two weeks after Alans prayers we conceived a baby boy and at his baptism we consecrated him to the Blessed Virgin. What a blessing. Several years ago I was on my 3rd day of a severe migraine attack. No medications helped. I forced myself out of bed to attend Alan Ames healing service. He prayed over me then when I was in line for confession I asked a priest to bless the Eucharistic rosaries I had got. As he blessed the rosaries I felt a powerful sensation go through my body from them. I am sure it was the Holy Spirit and since then no more headaches and my faith is much stronger. Thank you Lord Jesus. After brain damage seven years ago I was having up to 12 seizures a day also my memory, speech and balance were affected. I had difficulty remembering words in English and forgot most of the foreign languages I had learned. I went to a healing service with Alan Ames, at Mass as the priest elevated the Host I felt a burning in my brain. After Mass I went forward for prayers with Alan laying his hands on me and I rested in the Spirit. I have been seizure free since then. My balance and speech are perfect. I remember all my languages and I am living an active lifestyle again. My Neurologist ran tests and all have come back normal. Thank God and Alan for bringing Gods healing to me. During healing prayers Alan prayed over me and a photo of my family that I was holding. My father ( who was in the photo ) was healed of his vertigo which had a bad impact on him. He had been taking medicine for a long time but these had not helped him. I attended Alans healing service at our parish. I was in a car accident 30 yrs ago. I was in constant and intense pain from damage to my neck and upper back. Nothing could be done to my neck as a disc was pressing on a nerve and it was deemed too dangerous to do anything with it. I felt the spot on my head where Alan prayed with me that night and all the next day. Then after saying an act of contrition the pain in my neck has disappeared. Thank God. I had stage 4 colon cancer which spread to the liver. I was told that maybe I had 18 months to live with chemo. After 2 treatments of chemo I stopped it because it was horrible. I went to see Alan Ames and he prayed over me. I went back to the oncologist and no cancer could be found. For over 5 years now they cannot find any cancer. The doctors say they do not know how I am still here but they will not acknowledge a miracle. Through Gods mercy I was healed and I am still here for my family. Before Alan prayed over people he announced several healings. One of them was me. I had pain in my right knee for a long time. After leaving the church I was pain free and it has not returned. I could not believe it could happen to me but now I know it did happen to me. Thank God. I had been suffering pain in my left hip and leg for a long time. It would keep me uncomfortable every night with pain and restlessness. After Alan prayed over me I felt a weak sensation in my legs and when I got back to the pew my whole left leg began to shake. Since then I have not felt the pain again. Jesus removed that pain and suffering from my leg. I received a healing of my whole left leg and hip area. I went to a healing service with Alan Ames 1 year ago and was healed of my painful arm and wrist. I am so grateful for the work God is doing through this man. Our granddaughter who has been living with us for the past 10 years was suffering from bed wetting during the night. Since Alan Ames prayed over her she is totally free from her bed wetting. My daughter had a bad back and was afraid she would lose her job. I gave her a Eucharistic Rosary and mentioned the healing possibility. She prayed the Rosary and the next day her pain was gone. I was healed of stomach pains that I had been suffering from for years when Alan prayed over me. I took my friend, Niza to a healing Mass with Alan Ames. She had oesophageal cancer which no treatment could cure. Five days after the healing with Alan she went to the doctor and he said he could find no cancer at all; thanks be to God. I took my son to see Alan Ames. My son could not sleep. After Alan Ames placed his hands on my son he has been able to sleep peacefully. My brother-in-law was healed from a bad back and knees when Alan prayed over him. I am a member of the Church of Christ. My brother was in a coma so I took a picture of him for Alan to pray over. The following day he woke up and praise God he is not in the terrible pain he had previously been in. Alan mentioned that a man with bad pain in the right side of his back would be healed. I had been having this bad pain for about 2 months. No treatment would help it. When I woke a couple of days later to go to church the pain was completely gone. Thank God and thank Alan. We had been trying for some time to have a child but we were unable to conceive. Alan gave a word of knowledge that someone had been trying for a child would be blessed with that joy. Thank God that blessing did occur because we had a baby girl. I had cancer in my left lung. I had been through all the treatments and the cancer had spread to my lymph nodes and it couldnt be treated anymore. After Alan prayed with me when I had my scans they couldnt see the cancer anymore. How about that! I am very thankful. I attended a healing service with Alan Ames and I was healed of my constant vertigo and a permanent hip pain in the right hip. I had been suffering for five years from chronic pain in the jaw and strong headaches. I had consulted three different specialists and they could not treat it. After Alan Ames prayed with me I felt a sharp pain in my right jaw then minutes later I realized something was different. The pain that used to be there was completely gone. I waited a little while to write because I wanted to make sure of the healing but now I am completely pain free. Thank God. I was suffering from eye problems and an operation had already been arranged for both eyes. After being prayed over by Alan Ames I could see clearly the beautiful glass windows of the church before me. I was overwhelmed by Gods goodness and grace and full of gratitude. I told my opthalmologist about my experience of being able to see again without problems and so I had another check up because of this and the opthalmologist could not find any reason to operate on my eyes. I had been having problems in my throat for a long time. After Alan prayed over me when I was driving home in the car with my husband I noticed my throat felt better. I noticed my throat was completely healed and also my ability to sing was restored with a larger range of notes than I ever had before. I thank God for this miraculous night. I had 3 miscarriages before and hoped Alans prayers would help. Alan prayed over us and the following November we were blessed with a baby boy. We give thanks to God every minute and know that Alan was an instrument God used for us to have our son. I would like to thank the Holy Spirit that he gave Alan the power through prayer to heal my colic pain which I had for a long time. For more than 10 years I had strong pain. I had seen many doctors from Orthopedic specialists, pain management doctors to Neurologists. Each specialist would say  Sorry there is nothing we can do for you. I was taking 4 times the maximum doses of painkillers. I had numerous nerve blocks, surgical procedures. Nothing helped. I attended a healing service with Alan Ames and by the grace of God I was healed both physically and spiritually through Alans prayers. I do not take any pain medication and I am pain free. Praise God. I attended a healing service with Alan Ames and since then I have not had migraine attacks again. Praise and thanks to God. I have had a bad lower back for years. At the service with Alan Ames at Parramatta Cathedral my back was healed. Thank God. I was addicted to drugs for years. At a healing service with Alan he told me I would stop taking drugs. Thank God this has happened and I no longer take drugs. Through the healing prayers of Alan I was freed of my back pains which I had for many years. Now I am pain free and move easily. I thank God and Alan Ames. I just wanted to let you know when Alan prayed with me my tinnitus was healed. Thank God. After being hit by a truck I had a bad back with a lot of pain. Alan prayed with me and my back was healed and I have no pain. Praise the Lord and thank you Alan. I attended a healing service with Alan Ames and he prayed over me. Ever since then my addictions to smoking and drinking have been healed and my depression has been lifted. Thank you Jesus. I had a bleeding disorder that was healed when Alan prayed over me. Thank God. I had Reflux and swallowing problems for several years. When Alan prayed over me I received a healing from both these problems. Thank you Jesus. I had broken my leg in 2006 and it would not heal. For 3 yrs I was in a wheelchair and in excruciating pain all the time. I went to a healing service by Alan Ames and after he laid hands on me my legs felt weak and I rested in the Spirit. Later that night I felt fabulous and for the first time in 3 yrs I slept without pain. Within 3 weeks I was out of my wheelchair and no longer needed a walker or cane. I am still walking and doing great and am truly grateful to Gods generosity. Due to a fall I had very strong back pains which did not improve. I attended a healing service by Alan Ames three days later I was completely pain free. Praise, Glory and thanksgiving unto God and the Mother of God. I had been very sick with a separation on my right shoulder that was very painful. At night I could not sleep well from the pain. After Alan prayed with me the pain left and I can sleep peacefully now. Thank God I am healed. For years I had been suffering from strong pains in my right knee. After Alan Ames laid hands on me I felt a wonderful warmth in my knee. After that there was no more pain. Alleluja! For years I have had difficulty sleeping. After Alan prayed over me I now experience a restful and full nights sleep. I have told family and friends of this great gift of healing by the Lord. I had problems in both eyes and an operation had already been arranged. At Alans healing service I could now clearly see the beautiful windows and all their splendour. I was overwhelmed by Gods goodness. I went to my opthalmologist and told him about being able to see again without problems. He checked my eyes and could find no reason now to operate. I praise and bless God with all my heart. I attended a healing service by Alan. I could not sit well because of my slipped discs problems. When we went forward for prayers I offered it for the handicapped who were present. When Alan touched me with his cross a power came over me and I had to stop myself falling. I would like to inform you I was healed of my slipped discs. I can bend again without problems, sit down and manage my household. I now also can sleep deeply. The healing prayers of Alan Ames has made a lump disappear on my arm and the agonizing tinnitus that I have had for over 2yrs. Thanks be to God. Alleluja. I brought a picture of my grandson for Alan to pray over, My grandson had a large lump on his face which was discoloured. The doctors were unsure what it was. That night after Alan prayed over his photo the lump disappeared. I give God all the glory and thank him for Mr. Ames. I had a serious car accident which resulted in severe back pains. I could not lift even an ordinary file in the office or bow my head. The pain got worse and worse. The doctors, even a specialist, could do nothing for me or a Chiropractor. I heard about Alan Ames who was coming to a nearby church. He spoke of some healings that would happen saying one was a person with a bad back who would experience a burning feeling and they would be healed. I did not believe this would be me. When I took the car home I felt a burning in my back and this was the first time I thought it may be me he spoke of. When I woke up the next morning I did not feel any pain which had been with me a long time. Still I did not think I was healed and I thought surely when I get up the pain will return. When I got up I finally had to admit it was me that was healed as I felt no pain. For the first time in months I could stand upright without pain. I was healed! I was in pain in my upper back. When Alan prayed with me the pain left. I came for healing prayers for my right foot which had strong pain which handicapped my walking. When Alan began the healing prayers he said someone with pain in the right foot would be healed. Already going home the pain lessened and after a few days my foot problem had gone. Always had bad headaches until I came to a talk and healing prayers with Alan Ames. Since then the headaches have gone. It was difficult to sleep at night and I had problems bending and kneeling. After Alan prayed with me I now sleep soundly and have no problems bending or kneeling. In September 2007 at a prayer meeting with Alan Ames I stood in for my 18 year old son who had been addicted to drugs for about 6 years. Ever since then he has stopped taking drugs. Thank God. We saw Alan twice in 2007. My sister Ritas pain on her side was healed and my right eye which was affected by Bells palsy got better. During a prayer meeting with Alan Ames I was healed from osteoporosis. I praise God for His grace. For many years I was burdened with allergies and I could not take salt anymore and I was unable to eat most foods so that I was only skin and bone and was very weak. I asked Alan Ames for prayers and at the moment he prayed for me I was healed of my allergies and could take salt again and have recovered. After Alan prayed over me my arthritis in my hip joint improved greatly. My son had a bleed in his brain which the neurosurgeon told us would take maybe a year to clear up or it may stay that way permanently and so he put a drain into my sons head. We took my son to Alan Ames healing service and he went up for prayer. When Alan Ames touched him and prayed over him he said he felt total peace. A few days later we returned to the neurosurgeon and my son had his monthly CT scan. When the neurosurgeon looked at the films he said, Where is it? Where in the world did it go? What do you see? I asked him. He said that the area of the bleed was completely healed. He couldnt believe it, neither could I. I turned to my son and said, Thank You God and reminded him about the healing service. The doctor wanted to know what healing service this was, as he said he should send all his patients there. The doctor said my son had an early Christmas gift. I had a lesion in my right lung revealed by a CT scan. I attended a healing service with Mr Alan Ames and had another CT scan afterwards. The CT scan revealed that the lesion had completely healed. Our newly born grandson had a traumatic birth and was in ICU; his kidney and liver function was bad. They had placed him on an ice pad for 96 hours to prevent any brain damage. His blood work was not good either and he was having seizures. I placed a eucharistic rosary I got at Alan Ames healing service on our grandson, after which the neurologist told us our grandson did not have anymore seizures, his blood work had improved and his kidneys and liver were functioning normally and there was no brain damage. Thank God. I wanted to thank Alan for his prayers. Since he prayed for me I have been successfully cleared of all cancer. God really does answer prayers. We brought a friend to Alans talk. Two of her arteries had collapsed and her kidneys were so bad that dialysis would be needed. She got a eucharistic rosary which she started to pray. The x-rays then showed that her arteries had inflated and that her kidneys improved so much that dialysis was not necessary. Her bad eye sight also has improved. The doctor could not believe it. I was there the night that God allowed you to heal my nephew Jasons leg which grew to be the same size as his other leg. Since the healing service with Alan Ames my voice has come back and the sense of taste is restored. My mother had an operation on her inner ear. After the operation the ear did not heal as the doctors made a small mistake causing a wound not to heal. Pus would come out of her ear and she couldnt hear properly. While I was hearing confessions at Alan Ames talk my mother went up for prayer. She rested in the Spirit which she had never experienced before. She lay peacefully for a long time feelng very good. Afterwards she said she had no more pain in her ear and there was no pus coming out and it has been like that for four months now. Each day we thank God for His grace and we thank Alan Ames for his ministry. One lady in our parish had been diagnosed with breast cancer and was scheduled for surgery. After being prayed over by Alan Ames she was completely healed. The doctors found no trace of cancer in her and the surgery was cancelled. I had suffered from an eating disorder, bulimia for twenty years and it seemed like I couldnt go on any more. It felt like I was going to die. After Alan prayed over me the power of Jesus Christ healed me. I no longer have the bulimia and I am forever grateful to God for His healing. At the healing service Alan mentioned several healings that would take place. One of which was someone with lower back pain. I did not even think of myself as he said this, even though I have had lower back pain for years. Starting that night I have had no back pain at all and I have had none since. Thank God. Thank you for heaing my lower back. God bless you. The very first time I attended one of your services I was healed. I had a torn miniscus in my right knee and was told the only option I had was surgery. Since you prayed with me I was healed and that was over 5 years ago. I have had no surgery and now I can kneel and there is no swelling and no pain. I could not stop shaking all over my body. I could not sleep at night. My legs were doddery and painful. Since Alan prayed with me all this has gone. I thank God with all my heart. My husband had kidney disease for 5yrs and needed medication for it. After Alan prayed over him he went to the doctors who could no longer find any trace of the disease and he no longer takes medication for his kidneys. Since Alan prayed with me that evening I havent need anymore medicine to fall asleep. I used to take many tablets each day. I am calmer, more relaxed. I thank God for Alan Ames whom He uses as His instrument. My testimony of healing is that I was hitting rock bottom mentally  I felt as if I was going crazy and I was ready to have a nervous breakdown. I went to Alan Ames for healing prayers and when he laid his hands on my head I knew something had come over me. I felt a surge from my head to chest. Something had been lifted from me. Since then my mind, my nerves and life have completely changed. My life is full of peace and joy every day. I would like to thank Alan from the depths of my heart for healing. I had a bacteria in my body which was resistant to all antibiotics. After Alan prayed with me I got a negative result in my blood test; it is like a miracle. A thousand thanks for this great gift. I am writing to you to tell you of a healing I received from Alan. For more than 15 years I have had heart problems and had some heart attacks. For a long time I had been taking tablets which the doctors prescribed, but without success. But since that time in the church I have felt tremendous, much better and I do not need to take my medicine again. I thank God that He helped me with His grace. When Alan prayed with me it touched me deeply. The attacks of vertigo and muscle weakness have almost disappeared. God reward you for these gifts. I had atherosis, pain in the right shoulder a lot. I could hardly lift the arm to make the sign of the cross. In bed at night it was painful to turn over or to lift the cover. About 15 minutes after Alan prayed with me the pains in my shoulders had suddenly gone and they have not returned. When Alan prayed with me I was freed of my sweating disease and nightmares and my depression is overcome completely. I thank the Lord for His healing love through Alan Ames. My legs used to be shaky, as was all of my body and my sacrum was defective and I had much pain. Since Alan prayed with me it has healed and now I do not have anymore pain. I thank my God with all my heart. When Alan Ames prayed with me he prayed over a picture of my husband who had bad pains in his shoulders for two years. When I got home my husband told me the pain had gone. When I asked him what time the pains had gone we found out it was the same time I was in the church with Alan. I asked Alan to pray for my brother-in-law who was diagnosed with stage 4 lymphoma. A short time after that he had a PET scan which showed no sign of the disease. I cannot thank you enough for Alans prayers and I will be eternally grateful. His doctor admitted that there was divine intervention in this. I had been suffering from serious cancer. Alan prayed over me and afterwards my check up showed that everything was very good. The chief doctor told me that it was a miracle that I am still alive, so I keep thanking God and Alan Ames for this great blessing. At Alans talk a lady who was deaf reported she was healed. She could hear the choir sing and the priest praying then when she went to confession after Alans talk her hearing was completely restored. I had severe bleeding and would need an operation to stop it. When Alan prayed with me the bleeding completely stopped. I thank God for this healing. I couldnt walk for at least a year. When Alan prayed with me I fell down and felt the words: Walk, Elizabeth. Since then I began to walk and I walk around freely. I want to thank God that something so good has come. I had two tests for breast cancer and both showed that I had cancer. I went to a healing service with Alan and he prayed with me. After that the next two tests could find nothing. The doctor was amazed and she showed me the x-ray before and after. I thank God for this healing. I asked you to pray for my nephew and that his sight would be restored. This week the cloud has been lifted and he is regaining his vision. He was sitting 7 rows back from the altar at Mass and he could clearly see the Easter candle. He left the church and went on to work without his cane. Our eldest daughter was sick for years with Crohns disease. I went to Alans healing service and took a photo of her which Alan prayed over. A short while later she was taken to a specialist and after doing many tests she concluded that she was near normal. She had always wanted to have a family but was unable to. Since Alans prayers she fell pregnant. I will always thank the Lord from the bottom of my heart for the miraculous cure of my daughter. I attended a healing service with Alan in proxy for my husband who had been having addiction problems for many years. I stood in for my husband and when Alan prayed over me I felt my breath rush out of me. My husband has been doing very well ever since that day. We owe it to Jesus Who is most definitely working through Alan. A friend of mine prayed the Eucharistic Rosary for her grandson who was seriously ill from the disease, Alpert syndrome which is a very nasty digestion illness. He is fully recovered from the disease and declared cured by the doctors, so praise the Lord. My dad and I went along to Alan for healing prayers and like other kidney sufferers that have been healed by Alans prayers, so too was my dad. He was diagnosed with chronic kidney disease. After healing he went back for blood tests to which is GP was completely surprised to discover he no longer had kidney disease; it had gone. I also had been suffering from terrible foot pain. That same night I walked away realizing the pain had gone and my foot had been healed, thanks to the Lord. I had a discharge that after 18 months of treatment could not be cured. I went to Alan for healing prayers. The next morning I was surprised there was no discharge and everything is Ok up till now. I had a serious nervous breakdown and as a consequence I was depressed and thinking of suicide. The booklet  The Eucharistic rosary (which Alan has received) fell into my hands and I started to pray it already after the first 15 decades the inner darkness and hopelessness had left me and I could think straight again. In addition I could never pray 15 decades before and now suddenly I can with increasing inner joy. Thanks be to the Holy Trinity and Our Blessed Mother. I attended the healing service with Alan Ames. I had problems with a rotor cuff injury and knee problems. I went up for healing prayers not expecting too much. However, almost immediately the accustomed pain was gone. I had great liver problems for long years. I had a fat liver and high liver counts. Permanent pains were my everyday life. I could not stand any fat, no coffee, no alchohol, not even the least sip. It had been like this for years. When Alan Ames laid hands on me it was like I was struck with lightning. Within 2 weeks no more liver pains, no more pressure on the right abdomen, the swelling has completely gone. Ever since I have had a completely healthy liver. I can eat and drink what I want and I know God healed me through Alan Ames. I had endometriosis, adenomyosis and fibroid in the stomach which can make it difficult to get pregnant. Several doctors suggested I do IVF to get pregnant because I could not fall pregnant in the normal way. I went to Alans healing service and he prayed over me. After that I went to the Sacrament of Reconciliation. Ten days after the healing Mass I did a pregnancy test and found the result was positive. I believe through Alan God sent me a miracle; thanks be to God. I went to a healing service by Alan Ames and I felt a lot of peace and happiness with me as I saw how a very sick man in a wheel chair got up and walked. With a radiating face he turned to his wife and took her hand. The following day I realized that my gastrointestinal disorders which I had had for months and months had gone. I believe that Jesus healed me through Alan. For almost four years there was no day passing without stomach aches, no tablets would help. Alan Ames prayed over me and I do not have the stomach aches anymore; thank God. I came to Alans healing service to stand in for my nephew who had cancer. When Alan laid his hands upon me God sent His healing powers through him and through my body to my nephew who was healed of all cancer and as of this day it has not returned, so God truly healed him. I fell and broke my arm and even though the doctors reset it, it was not set straight and I needed another operation to reset the arm and stop the pain. I went to a Mass and healing service with Alan Ames. Through his prayer all the pain left, I can use my arm again normally and I do not need an operation. Praise be the Lord. I had been suffering with plantar fascitis in my feet. I had been suffering with this in both feet for over ten years. I heard Alan on the radio and as he prayed I prayed my feet would be healed. Since then I have had no problems in my feet, no knots, no pain and I no longer wear the supports in my shoes. I am free of all this and I thank Christ for it. My friend was diagnosed with cervical cancer and it had spread throughout the pelvic area and into the vital organs and she had to have surgery to try and remove it. The surgery was scheduled for August but she attended Alans healing service in July. When she went to have the surgery in August they told her she didnt have it anymore and didnt need the surgery and they were surprised. Praise be Jesus and Mary. after many months of being sick with a liver problem and being unable to stand or walk and being in bed he is feeling well and sat and talked with all the family saying God has healed him. I felt something pressing on my back and a tingling went through my body and the bruxism had gone. I was healed of depression after wearing and praying the Eucharistic rosary. God bless you for that! I had severe depression. When you prayed with me I felt dizzy and fell backwards. I could not stop crying and went back to my seat. I had a strong urge to go to and heard a voice say  go to confession. While confessing I cried and I was freed of my depression. Ever since I have been able to live without tablets. .. Improved so much after Alan prayed over her the doctors were amazed and dumbstruck. Our daughter does not need glasses anymore, she formerly had to wear them for strabismus. In the love of Jesus thank you. I was unable to have a child after several miscarriages. Alan had a prophetic message that there was a couple trying to have a child and were having miscarriages and that The Lord was saying they would have a child. To make a long story short shortly after I fell pregnant and I now have a perfectly healthy daughter. I cannot thank you enough for serving the Lord as you have brought Gods healing upon me to have the child I prayed for. I went to a talk by Alan Ames and stood in proxy for my 13 year old grandson without him knowing. He was still bedwetting. He was healed he has been dry ever since. The specialist doctors had not been able to achieve this! During the talk and healing prayers with Alan Ames I experienced a healing of a slipped disc and I enclose the MRIs to confirm the healing. Alan has healed my legs in Gods power. In the last 2 years I could not even kneel down for communion. I had pain all day and night and I was thinking of a vehicle for the handicapped. When Alan prayed with me the pain went completely I had a warm feeling in my legs and now they function perfectly well. Thank you Alan and thank God eternally. My husband received a healing of slip discs after a prayer evening with Alan Ames. Ever since he can also do hard work. Thank God for that. My husbands hand been very blue and swollen. After Mr Ames prayed with us the next day his left hand was normal again. Also, my spine problems had gone. Thank God. I had arthrosis in the right foot and I had warts grown deep into the ball of the foot. I could not walk properly any more. I could not fit into any shoe. The small toes moved inwards and I could not stretch them anymore. Walking was painful. I attended a prayer meeting with Alan Ames. When at the end Alan prayed over me I fell down....When I got back to my seat both of my legs were trembling without ceasing. I could not supress it. This continued until the praying over was finished. After a few weeks the warts had gone and I could move the toes alright. I could walk normally again without pain. Since then I have not been in need of a doctor again. Through your prayers (Alan's) God took away my tormenting cough. It truly is a miracle! Alan Ames prayed over me and ever since the tremor due to morbus parkinson has disappeared. Thanks be to God! Alleluja! The right kidney was to be removed because of a cancerous tumor. Alan what follows next is totally unexpected. The surgeon says ' I have a strong feeling that I should take one more MRI. If you agree I will call off your surgery and take one more MRI' . The MRI is immediately taken and later that afternoon the surgeon calls saying to ' Thank you for agreeing to one more scan and allowing me to save your kidney. You have two perfectly healthy kidneys. I cannot medically explain why the tumor is no longer there'. Alan this is a true miracle and testimonial of God's love and mercy as well as the power of your healing prayers. Robert aged 7 had some brain damage from a difficult birth. He was not able to speak like a normal child. He would bable and you could only understand a few words. We brought him to see you. Robert is now speaking very well. That year you prayed over him at age 4 he began to speak more and more...like his tongue loosened. The healing happened when Alan prayed over me that same night. My bent back that had been a bigger and bigger burden for the past 30 years was straightened up. My blockages when trying to straighten up, the pulling forward and the back aches etc. are no more. My reflection in the mirror, my family, my therapist and my family doctor confirm that. I thank Jesus, I praise God and I will never forget the good He did to me. A couple of years ago when Alan was in Seelbach, I got healed through his intercession of severe gall and liver disorder. After Alan prayed with me my disturbance of the heart rhythm wonderfully disappeared from which I had been suffering for years. I am quite stunned about this happening as I had not even prayed for this but my wife did. I went to Alan's healing service recently. I had been struggling with anorexia since I was 13. I had been to counsellors, hospitals and doctors but none could help me; I was in pretty bad shape. Had I continued on the path I was on I could have died. Alan inspired me through his prayers; needless to say I don't know what I weigh now because I no longer weigh myself. After Alan's healing Mass I went to confession and ever since then I've felt different inside. My weight and my desire to be the thinnest girl has been totally lifted from me. My son Adam who is 16 had become jaundiced. He was diagnosed with Hepatitis A and after a liver biopsy, cirrhosis of the liver. The doctor treating him stated that Adam had a very rare metabolic condition and that most children with this condition usually do not live past the age of 5. I got a second opinion from a team of 12 specialists in rare liver diseases, more tests were done showing that his liver had worsened. They felt Adam would be needing a liver transplant and listed him on the transplant list. My family and I attended a healing service with Alan Ames. Three days after your service Adam said, 'Mum this isn't going to happen for me.' I asked him what. He stated that something had happened to him and that he was not going to need a liver transplant. Within 4 weeks his liver number started dropping back down to normal, his jaundice went away completely, he was removed from the transplant list due to the fact that not only were his blood results going back to normal, but he was having no symptoms of being ill and had gained all the weight he had lost. We believe that through Alan God worked a miracle in Adam's life. I took my sister in law, Maria, to Alan's healing service. She was suffering from kidney problems and was due to begin kidney dialysis and a kidney transplant was iminent. Alan laid hands on her and prayed over her. About 9 days later Maria visited her doctor and the examination and test results showed that the health of her kidneys was restored. So much so that she now is no longer in need of dialysis or a kidney transplant. The doctor could offer no explanation for the restoration of health to her kidneys, other than it was miraculous in nature. I spoke to two people today both of whom received healings when Alan was in my church. One from chronic migraines which have never reappeared and the other from a chronic debilitating back injury. Before Alan touched me I couldn't kneel from pain in both my knees which needed an operation but as he prayed with me I felt heat in the knees. Now the pain has left completely and I no longer need the operation. I had this problem for five years. I wanted to let you know that I have received a special healing since I went to Alan's healing service in San Antonio. This past March I had confirmation that the necrosis of my right hip was healed, the MR confirmed it. My doctor could not believe it and called the radiologist in order to have him look again. He confirmed it. Also, the old scar from core decompression was gone as well, there was no scar in the femur showing where the doctor had drilled through up to the hip in order to decompress the hip and prevent a fracture. I had severe back aches in the pelvis area...during the healing service with Alan Ames I felt all of a sudden very strong pain. I had not known such strong pain before. A short while afterwards I went in front of Alan to lay hands on me. As he prayed with me the pain left as suddenly as it had come. Later I noticed my back pain had not returned. At first I could not believe this but one week later a rheumatologist confirmed I was healed. Last year my kidneys were healed during a prayer meeting with Alan Ames. I praise the Lord with all my heart. I was healed of severe depression which had lasted for over one year when Alan prayed with me. Today I am happy and glad and I thank God a thousand times and Alan Ames. I had a small red wound on my right leg. I had pains at the spot so much so that I found it hard to drive, yet I decided to still go to the service of Alan Ames. After the healing prayers my pain had completely disappeared and my leg was healed. For five years I had a knot in my throat with catarrah....it hurt a lot and I had problems breathing. Alan said someone with a throat problem would be healed. I thought it would be someone else, not me, yet the following morning the knot in my throat was gone and I could breathe normally again. I cannot thank God enough for this grace and for this gift through His instrument, Alan Ames. I had a painful knee. After Alan prayed over me the pain in my knee was gone. Thank you Jesus and thank you Alan for this beautiful healing. I had a severe ear problem with vertigo attacks. Alan said at the healing service that someone with an ear problem would be healed but that the ear would hurt a lot first. On the way home my ear started hurting. Now day by day I feel better, so much so that yesterday I could even return to work. Somehow I feel overwhelmed as I never expected this to happen to me. I extend my greatest gratitude to Mr Ames. I am just very grateful and deeply touched. My husband Alejandro fell ill and was admitted to hospital. He had bled internally. The doctors found three tumours on his liver which were over 5cm and full of cancer. He was in hospital for a week and had several transfusions but was not responding to treatment. He was told by the team of doctors that there was nothing more they could do for him. They told him he had between 3 days to 4 weeks to live and sent him home to die. His sister called Alan Ames in Perth, Australia as he had helped her when she couldnt walk after a severe accident. She contacted Alan for healing prayers for Alejandro. Alan prayed with Alejandro over the phone for approximately five minutes. He said that when Alan prayed with him he felt warm inside. When he next saw the doctor, the doctor was surprised because Alejandro looked so good and did several tests and was amazed at the unexplained improvement in his condition. They discovered his kidneys were functioning perfect where they hadnt before, the tumours are gone, his cancer is gone and the Hepatitis B and C he had has also gone. The doctor is amazed because he has never seen anyone recover like this before. Alejandro is still alive and we thank God for that. Miracles do happen and we thank God for this precious miracle. Mr Ames I cannot begin to thank you enough for your help through Jesus Christ for the miracle of returning my husband to life. I had problems with my knees; both knees were very stiff and it was hard to walk and kneel. After seeing Alan on the Focus programme I looked up his website and began to read about some of the healings. All of a sudden as I was reading a strange feeling came over me and the stiffness in both knees was gone. Now I can walk freer, jump up and down stairs, kneel and get up without holding on to anything. When I get up in the morning to go to work both legs are loose; there is no stiffness. I was unable to wear normal shoes due to feet problems. After Alans prayers these problems have gone and also my allergies to cleaning chemicals has gone and I no longer need to use rubber gloves when using them. I was having severe neck, throat and arms pains. I was healed from these terrible afflictions after Alan prayed over me. I am so grateful to Jesus for sending Alan to pray over me. I had been very sick and was forced into retirement by my illnesses. I had a slipped disc, kidney stones, colic and was seriously handicapped. After Alan prayed with me I am free and able to work again and I thank God for having led me to Alan and for healing me through him. I thank God for the recovery from Lid-ekzem disease (in German) after Alan prayed with me. Before I went to Alan for prayers I had high blood pressure. After he prayed with me I did not have high blood pressure. My daughter Mandy had several headaches and throat aches. After Alan prayed with her she was healed. Praise the Lord. The next morning when Mandy awoke she said she had no pain and felt great. There was also a woman there on the same evening who was in a wheelchair and after Alan prayed with her she was later seen walking around. At a healing service with Alan Ames when he prayed with me a growth was removed from my left shoulder. Thank God! I suffered a serious back injury….. I herniated two lumbar vertebrae…. One of the discs compressed the base if my sciatic nerve in my leg. This was a very painful injury……….I can honestly say that I have had very little pain in my back or leg since the praying over by Alan Ames. Something very spiritual took place that night. 4-5 years ago I invited a friend with a very bad back to one of your talks but she could not attend. So unbeknown to her I stood in for her for healing prayers. She felt the urge the next day to ring me to let me know how great she felt. She had woken up and her back was healed and it has been ever since. In May 2004 my urologist diagnosed prostate cancer in an initial stage with a PSA of 7.7….there were no appointments for treatment available until Nov 2004….in September 2004 I was invited by Fr. Ludwig to attend a Mass followed by healing prayers with Alan Ames. I went with my family and I could feel so much power in the Mass….After the Holy Mass when Alan Ames touched my head, a jerk went through my body. The following day I had such a feeling of being free, free of the disease, and it became stronger every day. So I went to see my family doctor again the result of the checkup was that my PSA had reduced from 7.7 to 0.16. He referred me back to my specialist (urologist). The urologist did another examination on 29th October. The result was a healthy PSA of 0.1. With all my heart I do thank our dear God, I thank Alan Ames and Fr. Ludwig for my healing, for their making it possible for me to become healthy. THANK YOU! I also want to tell you of my miraculous healing of my neck vertebrae syndrome that had caused me many pains for more than 30 years. It was in 2004 when Alan Ames worked this miracle on me with the power of the Holy Spirit. I am happy and thank Our Lord for it every day. Finally, I am writing my short testimony about the visit of Alan Ames in 2004. Before the healing prayers Alan Ames called out three healings that would be granted on that day. The first one was that someone would be healed of pains in the neck. I have had pains in my neck for a long time. When Alan described how the healing was going to take place I could already feel a burning in my neck which continued through the night and now my pains in the neck are gone. I thank God for this grace. A friend of mine told me of her healing with Alan Ames. She had been diagnosed with spleen problems. One week after Alan prayed over her she went back to the doctor and he said there was nothing wrong now. Praise God. When I was prayed over by Alan Ames, I felt a mild warmth covering my head and rocking it as if in a cradle; from Alan’s hands there was a sweet, soft and mild scent emanating……As for the precious scent from Alan’s hands, I have to add that ever since 1996, due to an accident , I have not been able to smell anything….So thank God for His goodness that He would even respond and heal me. 3-4 Years ago I attended one of Alan Ames’ healing services. One of the last words of knowledge that he got was that there would be a healing of a lower back and left hip which would happen slowly over the next week or so. I had that complaint and hoped that healing was for me but promptly forgot all about it. About 3 weeks later I rose suddenly from our lounge to get something and realized that there was no stiffness or pain and no limp. I don’t know when it actually happened but my husband agreed he had not noticed me limping lately. I also realized that I had been sleeping through the night – something I had not done for years. I remain pain free in those joints. Praise be to God and thanks to God for Alan’s work. After your healing prayer our third child was healed from Neurodermitis. Through the laying on of hands of Alan Ames and his calling on the Holy Spirit I was healed from a severe vertebral blockage in my neck. I had pains in my right hand........I don't have problems with that anymore.Praise the Lord. Thank you for the miraculous healing of my German Shepherd dog from metastatic liver cancer. when Alan prayed over me it was like electricity went through my body to my stomach, like fire. After this I had a biopsy and a cat scan and there was no longer any cancer in my stomach. 17 years ago I threw my back out and have had a bad back ever since. I do not remember a day since that my back has not hurt......The morning after your healing service my back hurt pretty bad for a short period of time and then it just stopped. I have not felt any pain since. I experienced a healing of a lesion in the lung area. Thanks to our great God. I needed surgery on my right knee after Alan's prayers all pain left me and I can kneel on it now which I could not do before. Thank you so much for all your prayers to Our Lord and Savior Jesus Christ and our heavenly mothe Mary. The spot on our daughters lungs is completely gone her lungs are completely normal. Our Lord Jesus has healed her. When you prayed with me I fell in the Holy Spirit and was healed of a shoulder that has been hurting so badly. when Alan prayed over me I felt a sense of peace. My back started to tingle as if Christ Himself had placed His hand on my back. I had a back problem for 22yrs. I was so blessed to receive Our Lord's love and healing. I remember being overpowered by the smell of roses ( more like a symphony ) as Alan prayed over me. Ihad suffered from chronic fatigue syndrome for about ten years. When I got home that night I felt full of the Holy Spirit. I went to my husband and kissed him and he said ' your breath smells different, it always had a funny smell, now it is gone' Since then my life has been much more full. I want to thank you for the prayers. Dee has been healed by a miracle..........the surgeon took out all the involved lymph nodes in her armpit and the cancer was not there anymore.. He was very baffled by her case. I was suffering from a bad slipped disc with squeezed nerve roots and I therefore was suffering from cruicial unbearable pains and burning so that I could not be without pain killers. After being prayed over by Alan Ames I no longer have these unbearable pains. I would like to thank God for healing me through Alan's prayers. I had been experiencing severe pain in both my shoulder joints. After Alan prayed with me I was relieved to find that I did not have the pain anymore and I haven't experienced that pain since. I strongly believe it was the Almighty working through your healing hands that made it possible. After you prayed over me I noticed that oil was left on my forehead. My friend was in leg braces, a cane and hand supports. Her husband took her to one of your sessions. She admits that she was sceptical and did not believe it was anything but show. When you touched her she felt an electrical current jolt through her body and she was healed and she has not had any problems now for two years. In your word of knowledge you said there would be a healing of a lower back and left hip. I had that complaint but now I no longer have any stiffness or pain and no limp. Praise be to God and thank you for your ministry. During your talk you said someone sitting there would be healed of a sore neck, that it would feel more painful that night but then it would be healed. I have had a sore neck because of degeneration of discs for some years. On the way home my neck felt very painful but the next morning it was pain free and has been ever since. My nephew, Daniel, suffered for years with headaches and he came to your talk with me. You mentioned in your talk that someone here was suffering from bad headaches and neck pain and that they would be healed. When you prayed over Daniel he felt like falling but didn't. Well, Alan, ever since that night Daniel has not suffered a headache and he is a changed boy and so happy. Due to years of smoking I was diagnosed with cancer of the mouth and I was waiting for an operation to remove part or the whole of my tongue. I attended a Mass and healing service with Alan Ames and was prayed over by Alan. Later that week my specialist announced there was no sign of cancer and that ' this is the mouth and these are the gums of someone who has never smoked a cigarette in his life'. I have never stopped thanking God for this very personal grace. I have suffered from convergence spasms in the eyes I was finding it difficult to see. I went to Alan's healing service and when he prayed over me I felt a warm sensation and a feeling of peace. The following tuesday as the morning progressed I realised my eyes were perfectly clear. They felt pure! I went to the Doctor with my wife and the Doctor was shocked. She said she had never seen anything like this ! I told her of the healing Mass and prayers she said it seemed as if it was a miracle and she could not argue with God. My eyes have been clear ever since. This truly is a miracle and I thank God everyday for this tremendous blessing. My back had been playing up for years with frequent pain. After the healing Mass when Alan prayed over me I felt no pain in my back and it has not returned since.I thank God almighty for this healing and I thank Alan for taking on God's work. When Alan prayed over me I was healed of a weeping sore I had for many years.When he touched my head I felt a tingling power go through my head and cause all kinds of sensations. My hearing was clearer and the sore healed. I keep Alan in my prayers and I tell others of the miracle that was performed by God through Alan. I brought my daughter who was suffering from epilepsy and had developed learning problems for Alan to pray over. Two days later she went to hospital for a round of testing; the doctor called telling me my daughter had no further sign of epilepsy and to stop all her medication. I told the doctor of Alan's prayers and she said that God performs miracles everyday. My daughter is now making good grades at school. I believe in miracles and I believe God healed my daughter through Alan Ames. I was diagnosed with SMS stiff man syndrome. I was in a wheelchair. I wore braces on my limbs to keep them in a functional position. I had constant muscle spasms and excruciating pain. After Alan prayed over me I had a warm tingling sensation in my body and I began to shake. I then asked a friend to remove my braces and although exhausted I actually stood to get into the car! I do not need the wheelchair anymore. Since then my life has improved on a daily basis, since that day my health has improved in ways the medical community has no explanation for ; there is no cure for SMS. I praise God and thank Alan for this healing. I went to see Alan Ames because of pains in my shoulder and side. After he prayed with me the pain is no longer there and I do not take any medicine. After Alan prayed with me I have not had an Epileptic seizure and I would normally have them frequently. I could not straighten my leg for 28 yrs and had constant knee and hip pain.When Alan prayed over me I felt a tingling in my leg. I rested in the Spirit and heard God say 'your leg has been healed' Afterwards I could not believe it I could straighten my leg and bend it back and when I walked on it, it felt great.I began to cry. God sure is great! My local hopsital discovered a tumour on my liver which needed surgery to remove the tumour. We went to Alan's healing service and i felt a tingling in my abdomen and back of my neck. I didn't think any more about it and went to the hospital for surgery. The day before surgery they were trying to locate my tumour and couldn't find it with ultrasound or x-ray. The doctor then confirmed the tumour was not there and three other doctors also looked for it and could not find it. I've had about eight x-rays since then and still, there is no tumour. Thank God! I had pain in the back for about 8yrs but with Alan's prayers it cleared up. I had an opportunity to attend two of Alan's healing masses in Pennsylvania. After Alan's healing mass myself and my friend were healed of our back pain. I could not lift one gallon of milk. Now I can lift 40 pound bags. When you came to our church your message deeply touched me and my husband. When you prayed with me my left shoulder which gave me great discomfort and upon which I could not sleep is now without pain. For this I thank God. Spiritually my faith has deepened. Your story is truly inspiration and your words of guidance of great importance. I had been diagnosed with ulcerative colitis 5 years ago and been having a very rough time with it. I received a healing from Our Lord through Alan Ames on September 25th 2003. When he prayed with me my disease was healed. When I had colonoscopy the doctor did 54 biopsies. Ten days later I received the lab results. I was told that no colitis could be find and they couldn't explain why. I thank and praise the Lord for this healing and sending Alan Ames to my parish. I brought my grandson to Alan for prayers as he had one leg about 4 inches shorter than the other. When Alan prayed with him his leg grew so that both are now the same size. My mother has had great pain and blood problems for several years.As Alan prayed with her she felt something warm flowing through her body.From that moment on,to my great joy, my mother has not had any pains anymore and the results from her blood are now good. I had very bad gums for a year and no medication could heal them.Ever since Alan prayed with me I have not had any problems with my gums again. In 1998 I was diagnosed with sever ulcerative colitis.My entire colon was affected making this the worse case scenario of this disease,as a result ,my colon was full of scar tissue.I was on heavy doses of medication. About 3 months after I was diagnosed with U.C. my mother in law "made" me go to this healing service with Alan Ames from Australia.After the service I felt no different but a few months later I was completely medication free.The doctors were amazed at this.I told them I had been to a healing Mass and been healed but that I was going to keep my follow up appointments until there was physical proof I was healed.They all looked at me as if I was a total psycho and encouraged me to keep taking my medications.I did not and have not ever since.In 2003 I was scheduled for a follow up colonoscopy.This colonoscopy is proof that I was healed.Scar tissue does not just go away,that is something you have for life.Mine was gone as was any other evidence of Ulcerative Colitis.My colon was perfectly healthy. The doctor was actually upset at the scheduling of the colonoscopy and wasting his time because there was no scar tissue and no evidence of there having been any Ulcerative Colitis. I took two friends to your healing service.One had Leukaemia and was given up to 5 years to live.Since your prayers he has gone from strength to strength and 6 years later is in remission.The other had pain in his stomach and chest for 7 years,he walked out of the church after prayers saying "guess what, my pain has gone" 6 Years later he still has no pain or ache at all. Dear Alan,by the power of the Holy Spirit my back was straightened when you prayed with me at Gymea.The Holy Spirit used you as an instrument to make me a living testimony of Jesus' power.I have osteoporosis very badly and my doctor,who has been treating me for 9 years, could not believe his eyes when he saw me. He said "Lola, what have you done and how did you do it? "I told him Jesus was my physician.The second time I saw my doctor I asked if he could account for my back and he said "No". Through the intercessary prayers of Alan Ames I was completely healed of a spinal condition. This was not a subtle illness but one of severe pain, numbness, spasms in my neck, arms, shoulders. Within 2 weeks of Alan praying over me no trace of this degenerative disease existed. After Alan prayed over me at St. Francis I noticed my right knee had been healed. I was definately healed of a constant back pain and do not need to wear a brace anymore. I took it off that day Alan prayed over me and I have not needed it since. Also my sister was healed of head and sinus pain. I want to thank Our Heavenly Father for the Blessing he bestowed upon me through His Son Jesus and by Alan's intercessory prayers. I want to tell you I was healed of Arthritis (myelopathy) when Alan prayed over me at St. Mary's University Chapel. I attended the Marian conference at St. Joseph's where you said someone with a back problem would be healed. About 30 years ago I hurt my back and the last 3-4 years it has been especially bad. Since the conference and your prayers my back has not hurt; since it has been over 8 weeks and I have no doubt that it has been healed. At your talk you said someone with a painful right hip would be healed. I was suffering from a painful right hip; after your announcement the pain subsided and by the time you had completed your talk I was pain free. I remain pain free and have been even able to climb a ladder to carry out some work. An abnormal mass was found on my ovary about the size of a golf ball and the Doctor said I needed an operation to remove the mass and it might be neccessary to remove the ovary. On Nov 6 just days before my surgery I attended the Healing with Alan Ames only to please my mother as I did not believe I could be healed. One day before the surgery I had a final ultrasound and the Doctor found the mass was gone.It disappeared completely and my Doctor cannot explain how or why. I am even more overjoyed to tell you that my mother who has cancer has received a miraculous healing from God through Alan's healing touch. Her cancer is in remission. God has blessed my life through Alan. Miracles can,do and will happen for it is in God's will. at your service in Nov 2001 at Christ the King. I gave a Eucharistic Rosary to a lady who was in a nursing home and could not feed hersalf or speak. I had a bad heart; I felt physically very bad. When Alan Ames prayed with me I had a wonderful experience and when I went to the Doctors for a check up, he found not only was my heart healed but two spots on the spine which had caused blockage had now gone. Also my 17 year old son experienced oil coming from Alan's hands as he prayed over him. I used to have circulation problems and a weakness of the heart with high blood pressure. Ever since Alan Ames prayed over me my heart problems have almst gone, my blood pressure is normal and I can sleep again. became pregnant Sept 8, 2002. Baby Johannes delivered June 12,2003. Rheumatoid arthritis, hypo-thyroid, hypoglemia, osteopenia. Birth defect in leg which bent leg back. Could not stand. Used a wheelchair. Could not feed herself Could not write. After healed 28/9/02 at Alan's prayers for healing. Knees and back straight. No pain- Can now walk, stand and kneel.No hypoglycemia and no immune system problems. Abnormality of the spinal cord. Each step, each motion, sitting down, getting up, it all caused terrible pains. It was almosimpossible to walk upstairs or downstairs.